Japanese pop culture has introduced us to manga, anime and Hello Kitty — now it’s time for the zakka phenomenon. Zakka is a Japanese term that means “many things”, although it has taken on many interesting new connotations. According to Tokyo-based freelance journalist Kaori Shoji, zakka broadly refers to anything and everything that spruces up your home, life and outlook. But more precisely, zakka is “the art of seeing the savvy in the ordinary and mundane” — as Shoji aptly puts it in an article for the New York Times. Today, the unassuming term has turned into a worldwide phenomenon in line with the rise of kawaii (cute) pop culture influences. Bedroom slippers, cotton pillows, wooden pegs — aren’t these just household items? Not so in the eyes of zakka artists, who have taken on the task of turning everyday items into handcrafted eye candy. Zakka, in Japanese, means “many things” and the items should be functional yet cool or unique. In an interview on www.melaniefalickbooks.com, Chika Mori, co-author of Zakka Sewing: 25 Japanese Projects for the Household, sees zakka as a “feeling”. “Zakka is something that has a function, plus something else. This ‘something else’ is very important. It can be cuteness, uniqueness, or coolness. It doesn’t need to be over-decorated. It can be very simple, but it should have something that gives you a good feeling beyond its function,” she observes. Peppered with European influences, popular zakka styles take on a distinctive air of vintage quality — think polka dots, patchwork, linen, pastels and sepia tones. In essence, zakka brings you back to the past in the same way sleek gadgets give you a sense of the future. An assortment of handmade zakka dolls. Zakka specialty stores are not exclusive to Japan — locals who have travelled abroad will tell you that the fad has made headway elsewhere too, namely in Taiwan, Hong Kong and Europe. Some ask, “What’s in a name?” But when it comes to zakka sanctuaries, it’s quite likely that it’s the name that makes the brand. Humpty Dumpty, Gelato Pique, Edit.for.Lulu, Deuxieme Classe, La Belle Époque — one can always expect a touch of whimsy from zakka stores around the world. The concept is still relatively new in Malaysia, though the RM5 haven Daiso have been noted to bring in select zakka-inspired merchandise. Daiso is Japan’s No 1 livingware supplier, and opened its first Malaysian store at The Curve, Mutiara Damansara in 2008. Three years on, and a new zakka boom has arrived in town, in the form of the newly-opened Pipit Zakka store in SS2, Petaling Jaya. Pipit Zakka, in a double-storey link house, offers local artists access to a dream once deemed impossible — an affordable space to display and sell their handcrafted zakka. Hand-sewn linen bags in the Pipit Zakka store in SS2, Petaling Jaya. Co-owned by Mike Ooi and his wife Ivery Khooi, the store is in fact the latest offspring of the couple’s four-year-old brainchild, Pipit (www.thepipit.com), a non-profit online arts forum. They were still holding onto full-time jobs as graphic designers back then; Pipit was merely a “hobby”. As the popularity of the portal grew, Ooi and Khooi, both 31, started organising one-day craft bazaars known as Pipit Wonderful Market, which were first held in Berjaya Times Square and subsequently at Annexe Gallery, Kuala Lumpur. Inspired by the countless zakka stores in Tokyo, the couple soon decided that it was time to set up shop. Pipit Zakka operates on a floor above Click Shop which sells cameras. Tiny timber chairs dot a narrow landing at the top of the stairwell, giving customers their first taste of the quaint zakka world that waits beyond the charming custom-made wooden double doors. Pipit Zakka is a small store, yet its cosy atmosphere promises visitors plenty to see, housing up to 16 local and international brands of handcrafted zakka, from bags and jewellery, to toys and clothes. “All the brands you see here are 100% independent. And each of the items are one-of-a-kind,” Ooi points out. 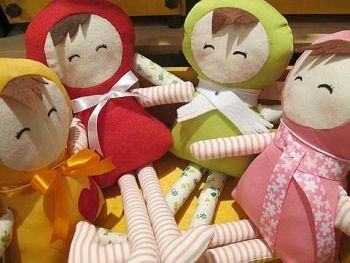 Fancy a hand-sewn doll from Johor? How about an apple-shaped beanbag juggler from Japan? “You can also find some products that are originally from Ipoh, Penang or even Hong Kong. The artists make them back home and post them over to us,” Khooi reveals. What’s also interesting is the fact that the store’s decor and layout is undeniably zakka-inspired. “A lot of the shelves are DIY — we built them from materials that we found outside of abandoned shops,” Khooi reveals. You name it, they’ve found it: from wooden crates and crumbling ladders in rubbish piles to discarded metal gates found lying about construction sites. “Others may regard them as rubbish; to us, they are pure gold,” says Khooi, running her hands over the top of a second-hand table. Indeed, the couple sees value in the mundane — this zakka mindset has inspired the couple to fill a corner of their store with 50-sen “old school snacks”. If you’re a child of the 70s or 80s you will definitely recognise the simple fruit-flavoured lollipops, chocolate munchies, candy bars and crackers wrapped in nostalgic old-school packaging, which are a rare find these days. “We got these from our hometown in Butterworth, Penang,” Khooi explains. While zakka boasts an interesting concept, it still remains a niche market. Graphic designer Chin Pei Yee, 25, feels not many Malaysians know how to appreciate zakka, or even know what it is. Chin fronts the brand Keller Homemade, and makes her own bookmarks, coasters, hair clips and shoe bags, which are all available in Pipit Zakka. “Zakka gets very little publicity in Malaysia. 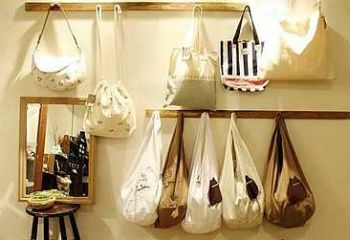 Many people still can’t grasp the idea that zakka can sometimes be more expensive than the usual mass-produced items,” she says. 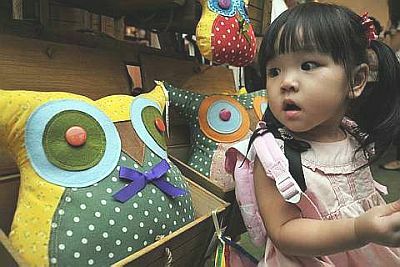 While some of the items in Pipit Zakka are only RM3 (for a badge), patchwork toys and bags can go up to RM180 each. “Some people would rather buy branded goods with this kind of price,” Ooi says. The price for zakka, it seems, is justified. Chin gives the example of a hand-sewn zakka, which requires attention to detail. “Hand-sewn items are made bit by bit till completion, and every detail is looked into attentively, as compared to mass-produced items. Very rarely will you see uneven or imperfect stitches,” she says. To US-based craft blogger Jessica Okui, 33, zakka is all about “balance”. 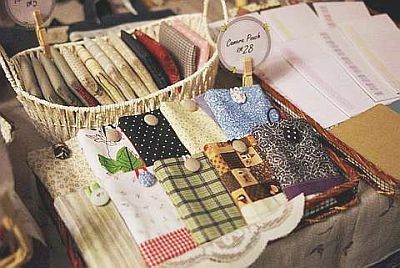 Her blog, zakkalife.blogspot.com, is dedicated to creating original craft projects, most of which are inspired by her love for the beauty and simplicity of zakka. “I first discovered zakka at a Japanese bookstore, where they had an entire craft book section dedicated to the art. I instantly fell in love with it,” she says in an e-mail interview. To Chin, zakka is more than just improving and re-organising the everyday. “It’s also about making things with our own hands — sewing a simple pot coaster for your kitchen. Or setting up the wooden bookshelf with your own hands. Doing things with our hands help us express ourselves as we put our touch into each item,” she says. Advertising strategic planner Sue-Anne Lim, 31, feels that zakka provides people with a wonderful escape from today’s hectic modern life. “It gives off a ‘country’ sort of lifestyle that appeals to you to slow down, enjoy life and escape from the rat race. I think no matter how advanced or futuristic society is, there will always be an appeal for things that are a blast from the past,” she opines. Lim spent two years living in Japan and returned to Malaysia with only praises for zakka. “I love zakka; they’re so interesting! Zakka stores don’t just sell decor, they have an amazing inventory of great home ideas — things that are both functional and pretty. I’ve seen the same kitsch shops in Europe; there are so many great ideas in there, you wanna bring it all back!” she recalls. “A lot of household stores in Malaysia sell either furniture or just decor, which is kind of pointless. And retail gift shops are so boring — every shop has almost the exact same inventory of goods,” Lim adds. Now there’s something more interesting than sharing your pictures on Facebook. It’s called photo zakka — a concept that transforms your photos into objects. According to Ayumi Nakai in her article on www.curiosite.com, photo zakka is among the latest hobby trends in Japanese culture. Set aside boring old photo frames; personalised photo zakka is the way to go. Photo zakka can be inexpensive yet meaningful gifts. Nakai’s top suggestions for ideas range from miniature albums, folding-screen albums, calendars and bottled photos to unique photo-cushions and mugs. Decorate an umbrella or make a snow dome with your photos — your imagination’s the limit.